In 1999 Barb Founded and began to Build The International Association of Home Staging Professionals®, IAHSP.com, Association. Barb’s large vision imagined a World-Wide Home Staging Organization for Home Staging Professionals®. She wanted this organization to be an important part of the Home Staging Industry she invented and created so that it would reach around the world to bring Professional Stagers all together for sharing education, networking, improving the industry standards continually and to make the Staging World more educated, professional and better for all concerned. As people become a Home Stager they can join IAHSP® and continue to build their business through more education offered through the IAHSP® Chapters, IAHSP® Conferences and Conventions, Monthly IAHSP® Communications, and stellar IAHSP® speakers and meetings. Barb is now also the Chairwoman Emeritus of The International Association of Home Staging Professionals® IAHSP.com and The IAHSP Global Goodwill Ambassador around the World. Barb Contributes also to the IAHSP International Calls monthly sharing her wisdom and her experience to all members who join in the calls all around the world. Also as a Crucial part of IAHSP® Barb also created the IAHSP® Foundation to give back to others. Scholarships, grants, gifts and more can be provided/given to worthy recipients through the IAHSP® Foundation each year. And as an important part of the IAHSP® Foundation Barb also created ‘The World Wide Staging Service Week®, WWSSW®. 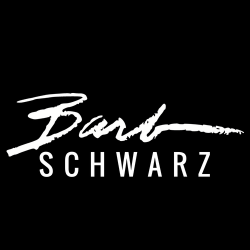 WWSSW® is very dear to Barb’s heart as it is a way to help those in need in communities around the world. WWSSW® is a yearly event for all Stagers who belong to IAHSP to give back to their communities where they live and work through their talents and Staging Experience. Stagers do this so beautifully through the magic of donating their Home Staging Services to help change thousands of lives around the world for the better in Organizations, Individual homes, projects, children hospitals, women’s shelters and more for community citizens and organizations in need. This most needed service week is held from September 12th-19th each year around the world. The people and organizations who benefit from WWSSW respond with heart felt joy and thankfulness. The IAHSP Stager members feel too that they receive as much back, if not more, than they even give. It is a moving experience for each IAHSP Stager participant who donates their time and talent. WWSSW is a wonderful experience for all involved.